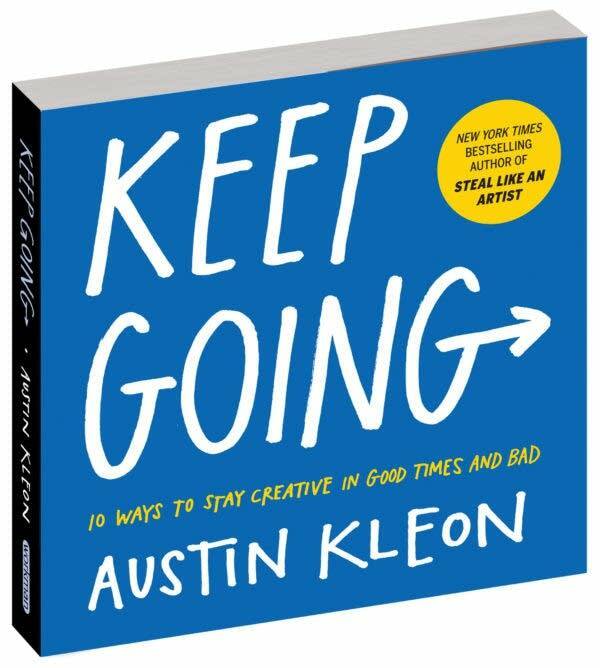 Austin Kleon is the author of "Keep Going: 10 Ways to Stay Creative in Good Times and Bad." 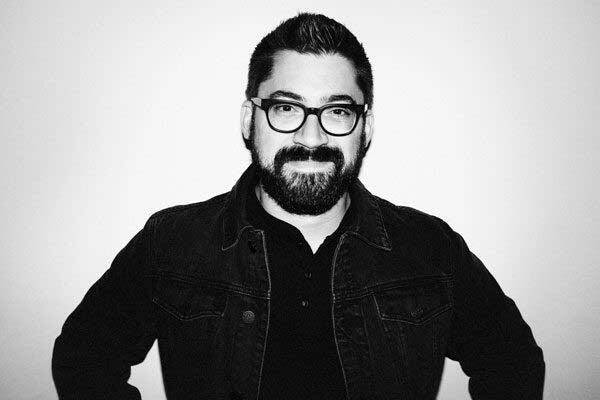 Despite the immense success of his previous book, "Steal Like an Artist," Kleon found himself struggling a few years later. He was on the verge of quitting writing altogether. "I think the political climate of the country really got to me," he recalls. "It just felt a little crushing to me, and my little books just didn't seem important enough for me to really spend time on. It felt like writing creativity books seemed not important enough. In some ways, I just felt like my work was a little meaningless." From this dark period, Kleon found his way out one step at a time. "I kind of went away so I could come back," he says. "And I read a lot of books by my favorite artists and writers, and I took a lot of walks, and I started a good old-fashioned diary, and I played with my kids a lot. And I came up with this list of 10 things to help me stay on track." Kleon chronicles those 10 things in his new book. The first step is: Pretend your life is like the movie "Groundhog Day." Phil Conners in the movie is a modern allegory of a man destined to repeat the same day over and over again until he gets it right. But he discovers that it's not necessarily a burden or a punishment or a curse to be reliving his days over and over. He discovers what a lot of enlightened people in life discover: Every day you get is a gift. "And it's really about how you fill the day that gives meaning to your life," Kleon says. "And there's this great part in the movie where he says to a couple of drunks in a bar, he says, 'What would you do if you were stuck in one place, and every day was the same, and nothing you did mattered?' I thought to myself, 'I think the answer is your art.'" No. 2 on Kleon's list is to create a "bliss station." "Bliss station is a term that Joseph Campbell used — you need a certain time or a certain place every day that you go, and you don't know what was in the newspapers. You haven't talked to any of your friends. Nobody wants anything from you. You're sort of totally disconnected from the world, so that you can connect with yourself and find your happy zone," Kleon says. "I think that what he's really talking about, especially for creative people, are those really happy studio spots, the kind of spaces that people go where they feel like they can be the most creative during the day." No. 3 in Austin Kleon's book is "Forget the noun, do the verb." As in, don't worry about becoming an author; just write. "If you want to be the noun, you've got to do the verb perfect." he says. The next steps involve making gifts, slaying monsters, tidying up, exposing your demons to fresh air and paying attention to the ordinary ... until it becomes extraordinary. "I think that's a lesson for all artists, that the world that surrounds you is enough," he says. "You don't need to move to Paris and fall in with a gang of rowdy misfits, and sip wine, and that great romantic vision of what making art is like. You just have to embrace whatever world happens to be around you, and you have to find ways of pointing your attention at that world in a way that brings out the extraordinary." Kleon says everything got better for him when he made peace with the realization that life might never get easier. Whenever life gets overwhelming, he says, go back to Step One. Think about your days. What can you put in them that gets you a tiny bit closer to where you want to be? Go easy on yourself, and take time. Change what you pay attention to, and change your world. Heather McElhatton is host of American Public Media's "A Beautiful World," which focuses on solutions journalism and inspirational stories about what's working in the world.